• Mouthwatering menu of 18 quilts and pillow projects inspired by modern cuisine. • Great value! Interchangeable menu of blocks, settings, and sizes to design your own quilt. • Easy patchwork blocks—ideal for beginners. 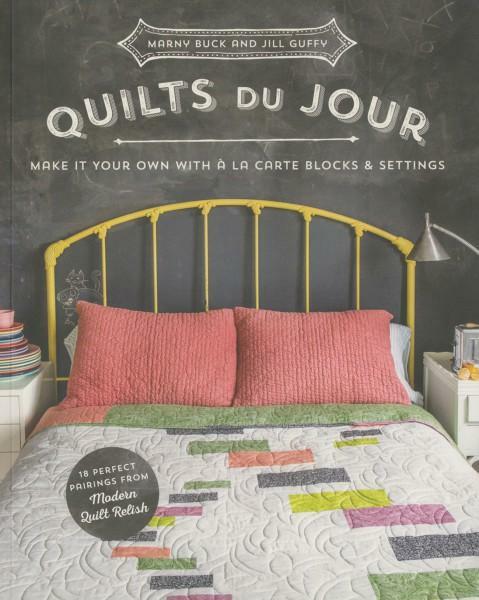 • Innovative settings that Modern Quilt Relish fans have grown to love.